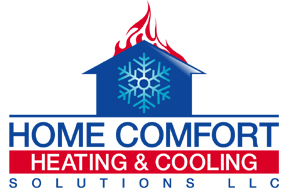 When it comes to heating installation and servicing, people in Madison trust Home Comfort Heating & Cooling Solutions LLC. Our technicians install and repair all types of heating systems in homes and small commercial buildings. We are locally owned and do all of the work on heating systems by ourselves. Our HVAC technicians have the experience and training to work on oil, gas and electric furnaces. We also install and repair heat pumps, geothermals and boilers. We can switch from one type of heating system to another. We are knowledgeable about energy efficiency, too, and will advise a customer how to take steps to keep the heat inside all winter. When the heating system you already own stops working like it used to, we will send a HVAC technician to Madison to see how you can get your system back up and running. Signs of trouble include cold rooms despite the thermostat setting, unusual noises, and strange odors. We invite you to join our Madison CT Home Comfort family. Call us today at 203-290-1005 or send us a message.